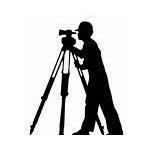 Welcome to the official web site of Rodney G. Reynolds, Ontario Land Surveyor. You can review our comprehensive professional services we have been providing builders and homeowners in the Georgian Triangle area for over 45 years, find out all about our company and contact us for a quote by visiting our Contact Page. We work for you the client, in helping to get your application approved by the Nottawasaga Valley Conservation Authority (NVCA)​. Whether you are building a new home or addition near Georgian Bay or along the Nottawasga River. We will assist you in expediating your application with the NVCA. We also provide SRPR’s (Surveyor’s Real Property Report), Building Location Surveys, Find Property Corner Bars, Reference Plans. We supply many other builder services that are described in more detail on our Services Page. Contact Rodney G. Reynolds today for all your Surveying needs.